We work closely and collaboratively with your business as creative problem solvers to deliver simple yet sophisticated IT solutions. Our core focus is developing custom business applications that automate your business processes. Convert data into information that makes sense with meaningful insights used to understand and improve your business. 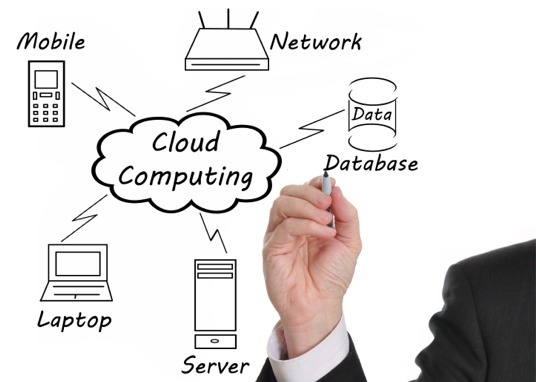 Integrate applications, business processes and data into the cloud. No hardware to maintain and continuous software updates. Integrated systems will promote efficiency, reduces operating costs and simplify operations. Protective digital privacy measures that are applied to prevent unauthorized access to computers, databases and websites. We build, support and maintain databases of all sizes. Technology is always changing and..
companies of all sizes are faced with questions about investments in upgrading, maintaining and implementing new technology. Choosing a trusted IT vendor is important and we recommend to not invest in outdated technology but also not jump too early on the next bandwagon or buzz words. We can help you navigate the ever changing world of technology and help your business grow. It's about the right solution that makes sense for your business. We focus on improving information management through business processes, application architecture, data modeling, metadata, content quality and more. Our services can help your business grow, reduce overall operationg costs and stay competitive.